Do you need help in upping your CS:GO rank? Is ranking from Silver I to The Global Elite a seemingly impossible road to take? Have you been stuck in your current rank and can’t even go higher? If so, you need our CS GO boosting service at ProBoosting. What is CS GO Boosting? Counter Strike: Global Offensive have Competitive Skill Groups that predict the skills of the players when compared to other players. It works the same way as Dota 2’s MMR (matchmaking rating) and League of Legend’s Elo rating system. By having a particular rank, like Gold Nova I for example, you are pitted againsts players of the same rank. Since you and other players have the same skill level, this results in a more competitive and enjoyable match. With a CS GO Rank Boost, you can easily rank up your account and get to play with the pros as soon as possible. Of course, this can be possible when you buy CS Go Rank Boosting service from us at ProBoosting. Our CS GO rank boosting service is created by a group of professional and highly skilled CS:GO players who have reached the highest rank, The Global Elite, in their main accounts. Now, we have decided to help other players reach this status and play along with the pros through our boosting services. At ProBoosting, we offer reliable and cheat-free CS GO boosting to allow you the rank you dream of without all that frustration. We ensure to offer only legitimate boosting without the use of any cheats or hacks from any third-party software. Most of our players are ex-pro CS GO players, and they consider boosting CS GO accounts as their full-time job. Why Buy CS GO Boost? There are a lot of players who are stuck in their CS GO rank. Regardless of how many hours they spend playing the game over and over again, they just can’t get to raise their rank. This hampers their ability to play competitive games and even affect their overall ability. We are one of the very few websites that come with a guaranteed CS GO boosting service. 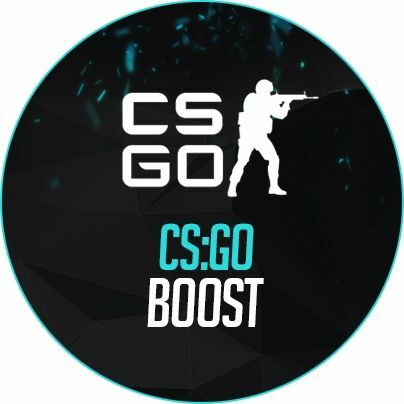 With our boosting service, we can guarantee to rank up your CS GO account depending on your desired target. Of course, we promise to deliver. If we can’t give you the rank you desired, you can get your money back! With a CS GO boosting service from us at ProBoosting, it’s always a win-win situation for you. In order to give your CS GO account the boost it needs, we only employ legitimate tactics. We don’t use any sort of hacks or cheats, thereby eliminating the risk of your account getting banned. We have a team of experts who will play games on your behalf. As mentioned earlier, our team is composed of experienced and highly skilled players who will play CS GO matches on your behalf. It is for this reason why you can have guaranteed boosting from us at ProBoosting. After a few hours following a successful order, our CS GO boosting service immediately goes into effect. Since we promise quick delivery as much as possible, it only means you can see noticeable results soon enough. We decided to create this service to provide solutions to most players’ issue about not being able to rank up further. We know how frustrating this issue can be, considering that we’ve been there at some point in our gaming career. We also know the feeling of being able to overcome that deadlock and advance to a higher ranking league. As such, we’re here to help you as much as possible. For us to start boosting your account, you simply need to place an order. To order, select your current rank and your desired rank. The pricing will vary depending on your current rank and the rank you want to attain. For example, if you are in Silver I and want to reach The Global Elite, you’ll have to pay approximately $265. However, if you’re in Silver I and want to reach Silver II, you’ll only have to pay $6. Essentially, the closer the gap between your current rank and desired rank, the lower price you will have to pay. We also have Specials you can avail. You can either choose to play with the booster, stream your boost, or win 1 game right after a boost. Of course, you can expect the cost to add up, but it’ll surely make your CS GO rank boost experience a very enjoyable one! After you have successfully completed an order, it will only take a few hours to assign a booster to you. This is possible through our system which notifies our boosters once a client buys CS GO rank boosting service from us. Once you’re in, you can gain access to our Members Area to get in touch with your assigned booster and a few more! Are you itching to rank up and play with the pros? What are you waiting for? Take advantage of our CS GO rank boosting service and get the boost you rightfully deserve!